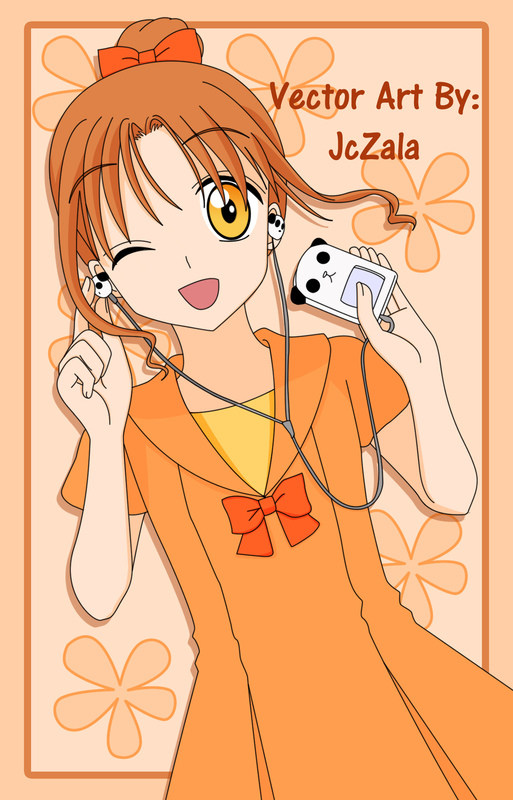 I saw this scan of Mikan-chan and I decided to vector it. 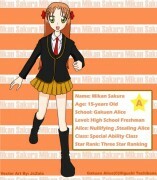 Mikan looks absolutely adorable here. I love the Panda IPOD and the dress she's wearing. I really enjoyed vectoring her hair. The eye is kinda weird to me, but I tried my best. The coloring was the good part too. I did a lot of editing with this. This is actually another rushed vector work. I got lazy with the background, so I came up with a simple one instead.